Please click here to send us a prayer request. We have a team of people around the churches who would be pleased to pray for you and the things that concern you. We know that many other local organisations also love the people and the places of Kenilworth and the Villages. There, you’ll find information about, and links to, some of these organisations, and have the chance to include your organisation as a part of the LOVE KENILWORTH family. Click here to discover other groups and organisations linked to Love Kenilworth/Churches Together in Kenilworth and District and serving our community in the name of Jesus. 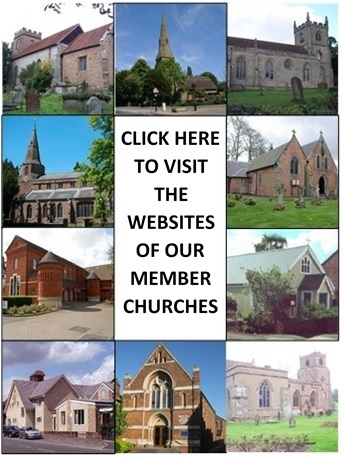 The churches of Kenilworth and the surrounding villages welcome you. We love the people, the environment and the town of Kenilworth. We want to demonstrate God’s love through prayer, service and through sharing the Good News of Jesus Christ. We invite you to explore further and experience this love. Churches Together in Kenilworth and District is the body which coordinates and shares information about activities and projects supported by all the local churches. While recognising each denomination’s traditions and freedom of action, CTKD’s “Declaration of Unity” reflects all the churches’ commitment to work together in response to Christ’s call to share our faith as fellow pilgrims and to demonstrate it in practical ways in our community.